Kerstin Thornburgh (top left), Cory Snider (top right), Kaitlin Evans (bottom left), and Kiley Sosby (bottom right), all earned a spot on the All-State list. Snider, Evans, and Sosby were all named First Team, and Thornburg was named Second-Team. Four local athletes were named to the All State lists earlier this week. 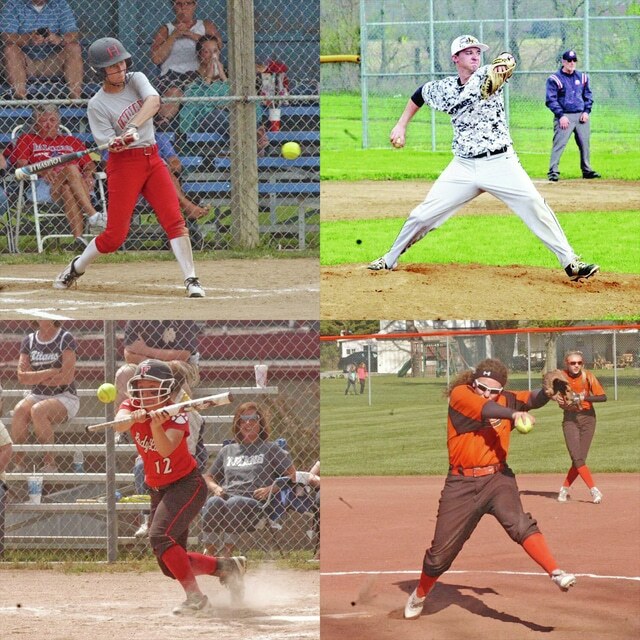 Three local softball players and one local baseball player were one the list, with three of them being named All-State First team. In Division II softball, junior Kerstin Thornburgh from Hillsboro High School received Second Team All-State. In Division IV softball, both Whiteoak High School and Fairfield High School were represented by Kiley Sosby and Kaitlin Evans, both seniors and both making First Team All-State. On the baseball side, Lynchburg-Clay High School’s Cory Snider was named to the Division III First Team All-State.